Without better local management, the world’s most iconic ecosystems are at risk of collapse under climate change, say researchers in a study published in the journal Science. The international team of researchers say protecting places of global environmental importance, such as the Great Barrier Reef and the Amazon rainforest, from climate change requires reducing the other pressures they face, for example overfishing, fertiliser pollution or land clearing. The researchers warn that localised issues, such as declining water quality from nutrient pollution or deforestation, can exacerbate the effects of climatic extremes, such as heat waves and droughts. This reduces the ability of ecosystems to cope with the impacts of climate change. “Poor local management makes an ecosystem less tolerant to climate change and erodes its capacity to keep functioning effectively,” says study lead author Professor Marten Scheffer from Wageningen University in the Netherlands. The authors examined three UNESCO World Heritage Sites: Spain’s Doñana wetlands, the Amazon rainforest and the Great Barrier Reef. While many ecosystems are important to their local people, these ecosystems have a global importance, hence their World Heritage designation. For instance, the Amazon rainforest is a globally important climate regulator. The Great Barrier Reef is threatened by ocean acidification and coral bleaching, both induced by carbon dioxide emissions. Local threats such as overfishing, nutrient runoff and unprecedented amounts of dredging will reduce the reef’s resilience to acidification and bleaching. “It’s an unfolding disaster. The reef needs less pollution from agricultural runoff and port dredging, less carbon dioxide emissions from fossil fuels, and less fishing pressure,” says co-author Professor Terry Hughes, Director of the ARC Centre of Excellence for Coral Reef Studies at James Cook University. “As a wealthy country, Australia has the capability and responsibility to improve its management of the reef,” adds Professor Hughes. Professor Scheffer says the three World Heritage sites play a critical role in maintaining global biodiversity. 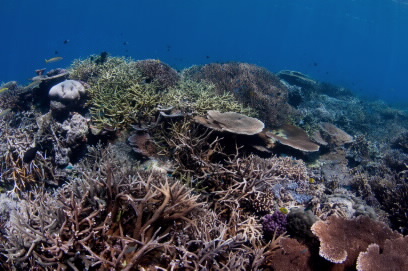 “UNESCO is concerned that Australia isn’t doing enough to protect the Great Barrier Reef. It would be disastrous for the $6 billion reef tourism industry and Australia’s reputation if it lists the GBR as ‘in danger.’ We need to put science into action to prevent this from happening,” urges Professor Hughes. Co-author Professor Scott Barrett from Columbia University says the problem is one of incentives. “These ecosystems are of value to the whole world, not only to the countries that have jurisdiction over them. It may be necessary for other countries to bring pressure to bear on these ‘host’ countries or to offer them assistance, to ensure that these iconic ecosystems are protected for the benefit of all of humanity,” Professor Barrett says. Above all, the paper raises awareness of the great opportunities for enhanced local action. “Local management options are well understood and not too expensive. So there is really no excuse for countries to let this slip away, especially when it comes to ecosystems that are of vital importance for maintaining global biodiversity,” says Professor Scheffer.